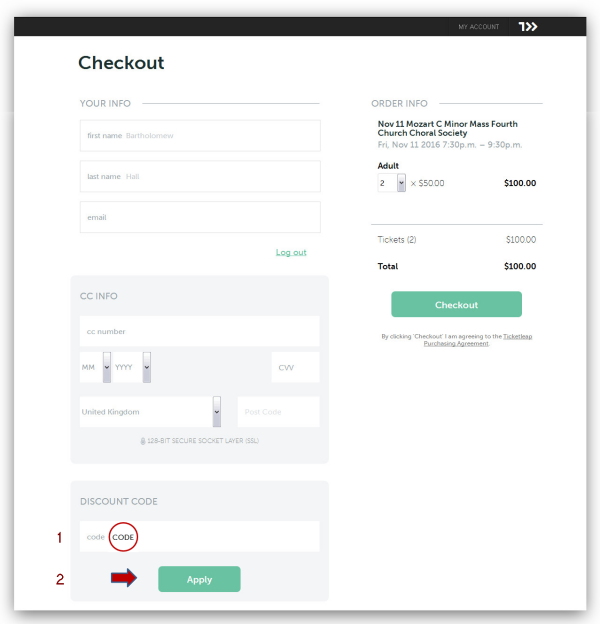 bottom left of the “Checkout” page. 3: Type in the code you have and click “Apply”. 4: The discount and total amounts will be adjusted. 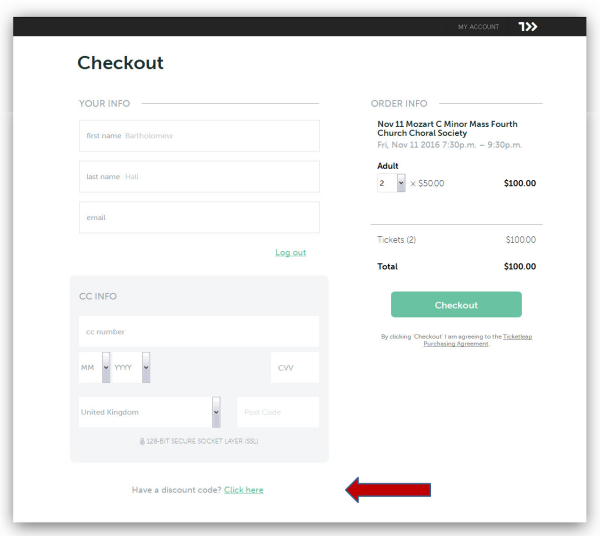 Type in your card details if you haven’t already, and click “Checkout”. 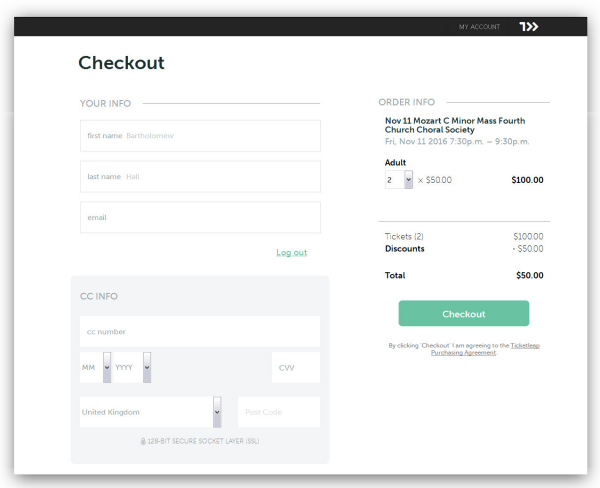 5: Click on “Download Ticket” and print or email as a gift. 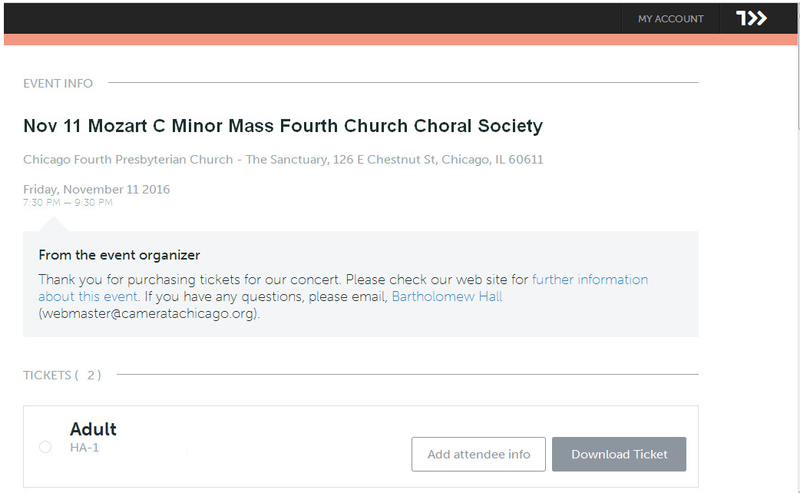 This entry was posted in 2018 Sacred Music by Camerata Chicago. Bookmark the permalink.